For those who have been lamenting that top-level chess nowadays is a bore because of the high frequency of draws, then may I direct your attention to the still-ongoing Norway Chess Tournament 2014. Round 2 was truly an exciting round: Out of 5 games played among top GMs, three ended in decisive results. So to say that GMs nowadays are too "cowardly" to play for a draw is almost certainly misleading and a gross insult to these players! So let me take the opportunity to analyze with y'all what can be considered the most exciting game of Round 2: Fabiano Caruana vs Peter Svidler, which saw Caruana making a bold knight sacrifice to create a lasting attack on his opponent's king. In typical Sicilian positions like this White prepares to launch a kingside pawn avalanche, and Black seeks counterplay in the centre or queenside. 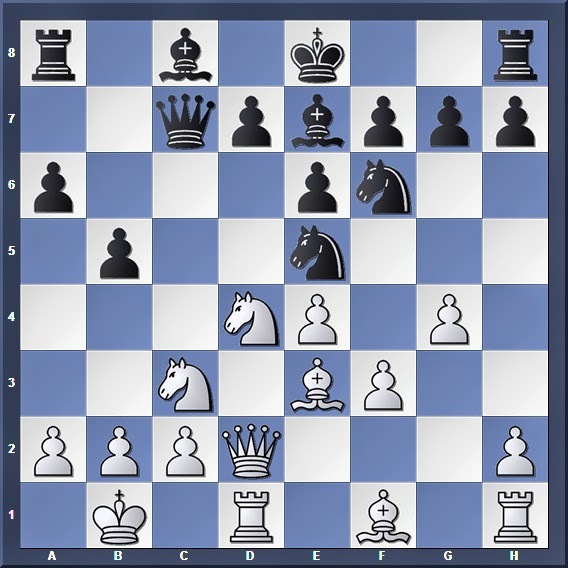 When the Sicilian used to be one of my pet repertoires, my favourite continuation would be to set up a Najdorf-Scheveningen hybrid with the pawns on d6, e6 and a6. In this situation Black will have a small but solid centre, which will help him for any future plans in the centre or queenside. He can ignore White's threats altogether and continue development as per normal, but this gives White more time to mobilize his pieces. 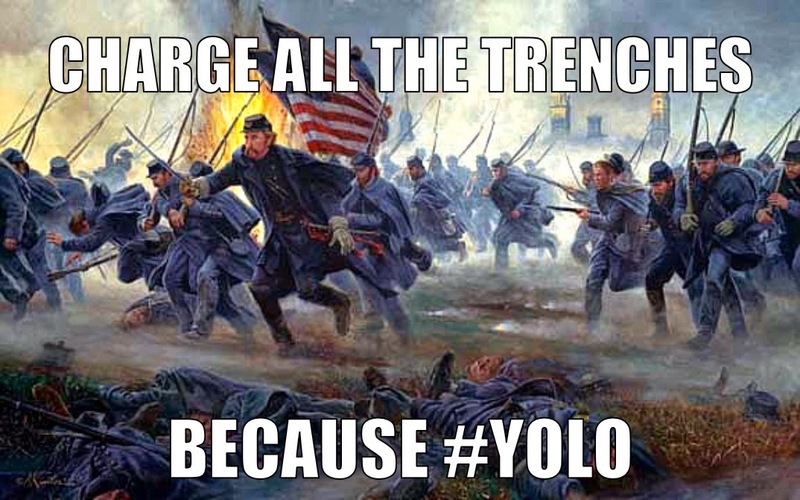 So for example after 11... O-O 12. g5 Nh5 13. f4!? Black must be mentally prepared to defend against White's upcoming kingside attack. He can counterattack on the queenside with a move such as 11... b4, which is precisely what Svidler chose in the actual game. Of course 12. Ne2?! leads to 12... Nc4! and White's attack is weakened after the minor piece exchange. With White's knight offside and the g5 advance checked for the moment, Black prepares for 13... d5; a strong central thrust to counter White's kingside attack. Pinning the knight. On the other hand, exchanging straightaway only helps Black achieve his plans: 14. exd5?! Nxd5 and Black has a solidified his grasp in the centre. White's offside knight will not help him when such a situation occurs. Looking at the position, it is not hard to tell why this was such a crazy fight: The position is highly double-edged, with many pieces coming under fire from all directions. Tactical opportunities are plenty, and over the board it will certainly be a very tough battle for both sides. Not 14... Bd6 15. exd5 Nxd5 16. Nf5! where after 16... exf5, White suddenly breaks through with 17. Qxd5! Much better than 15. fxe4?! which only creates a weak central pawn for White, and gives Black time to develop the rest of his pieces. White could also try 15. Bxe5 Qxe5 16. 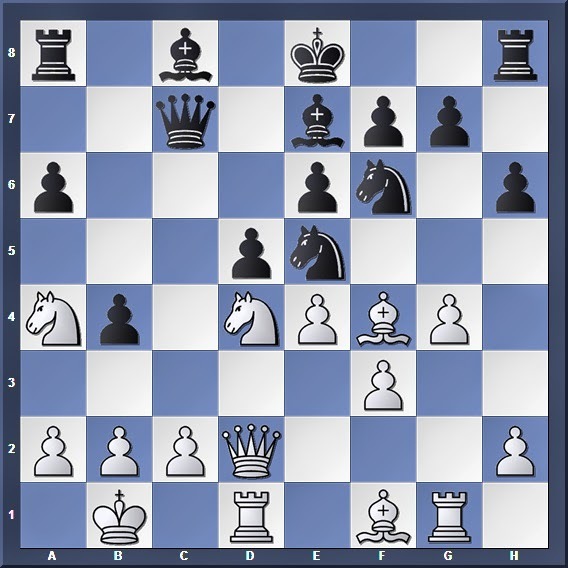 Nc6 with some tactical complications for Black. Attacking both e5 knight and g7 pawn; White has the better chances in this position. During post-game analysis, the variation 17... Qa5 was suggested, and after 18. Qg2 exf3 (18... Qxa4? 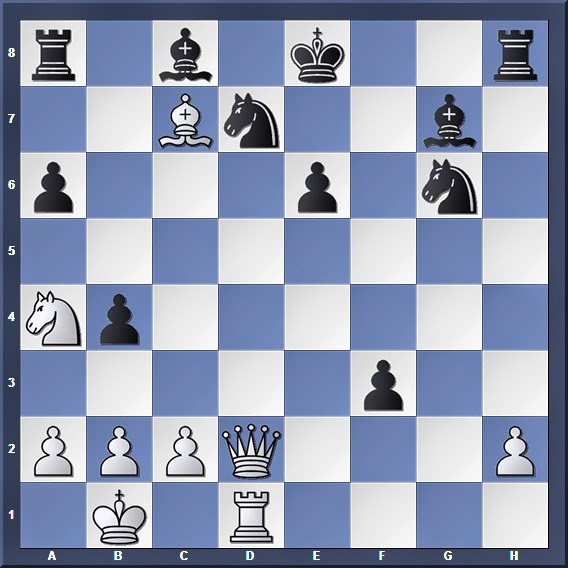 allows White to build a strong attack after 19. Rg8+ Rxg8 20. Qxg8+ Bf8 21. Bg5! Nxf3 22. Nxe6! Nxg5 23. Nxg5) 19. Nxf3 Bb7 Black might be able to fend off White's upcoming attack. I will not go deep into the variations lest I drown you in too many tiny details. A less aggressive, but more solid continuation will be 18. Qe3 attacking the knight in the centre. White's sacrifice has paid off: His attack is crashing through, and after 20... Kf8? 21. Rf7+ Kg8 22. Rg1 Black can resign, while 20... Kd8? leads to an even faster demise: 21. Bxe5 Bxe5 (21...Qxe5 22. Rxd7+) 22. Qg5+ with mate on the next move. 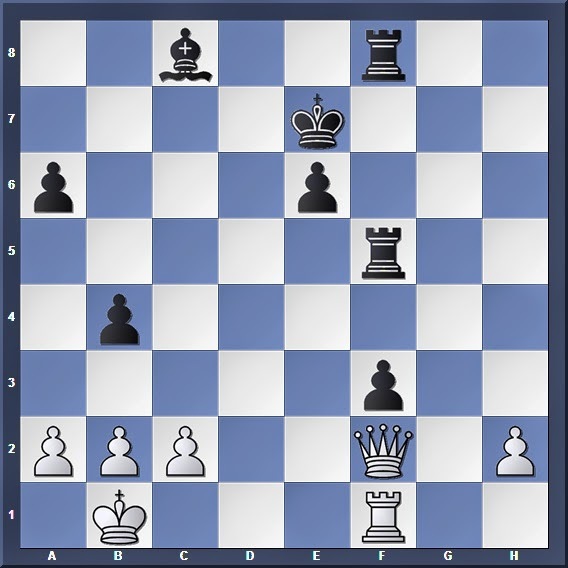 As quoted by GM Daniel King in his analysis video: "Objectively, who knows what's going on in this position, maybe Black is ok... but over the board, how to defend this is so difficult for Black, and I would take White every time in this position!". I will certainly agree with his words! Black has two passed pawns, two minor pieces and a rook for the queen; a good amount of compensation after the scare that he has been through. His main problems, however, are that his pieces are slightly uncoordinated at the moment, and his king is still dangerously exposed with no apparent safety on either wing of the board. White must seize the initiative quickly in order not to give Black time to rally his pieces together. 22. 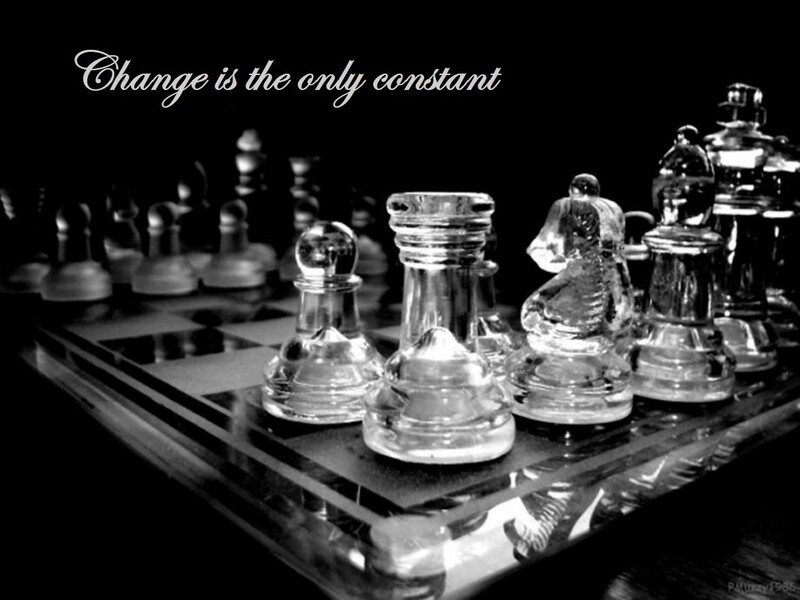 Qe3 (attacking both passed pawns) may look strong, but after 22... O-O! Black manages to coordinate his pieces and this spells trouble for White. 24. Qxf3 Rb8 25. Qc6 Ke7 26. Nc5 also looks promising. Taking the exchange straightaway with 26. Nxd7 Rxd7 27. Rxd7+ Bxd7 28. Qxe5 seems fine at first, but after Rf8! White may have problems dealing with the passer on f3. Hence it was important to create a blockade around the pawn first. After 26... Rxh2!? 27. Nxd7 Rxd7 28. Qxe5 Rdd2 Black might have sufficient counterplay, but his king's exposed position will still be a thorn in the flesh. Now White cashes in his advantage. 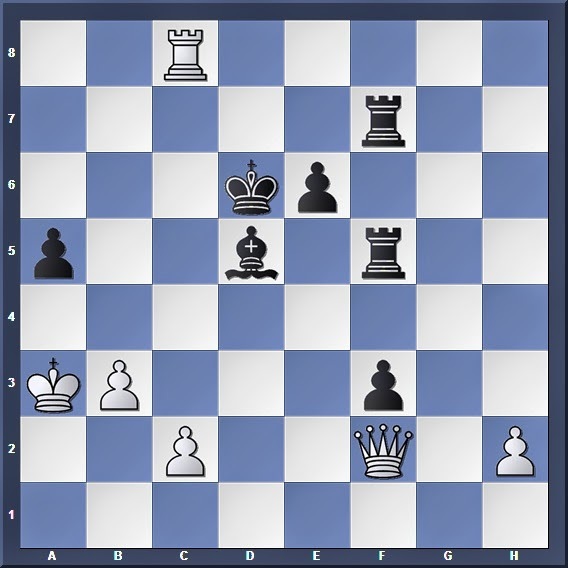 While this may look passive for White, the queen in fact makes a very good blockader that releases her fellow rook for operations elsewhere on the board.... such as striking the exposed Black king! Black's king is still very dangerously exposed, and the marauding White rook makes full use of that fact! 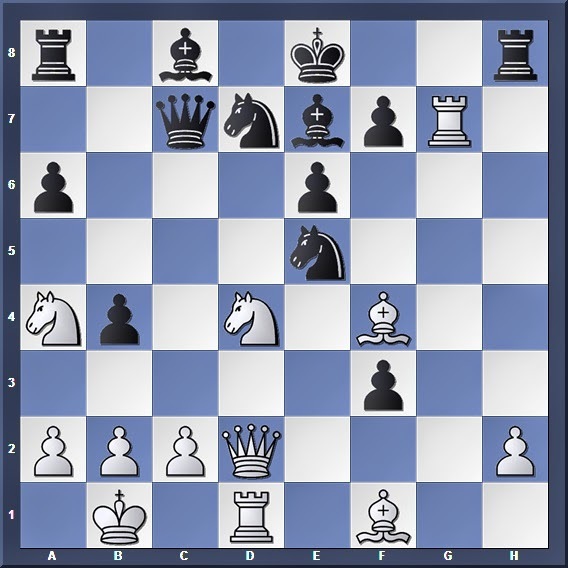 I do believe that even in this position, many of us will still fumble as White while trying to play for a win (as is the case for all Queen vs Rook + Minor piece endgames!). Nevertheless, we have to give credit to Caruana's adventurous streak when he made that sacrifice on the 18th move. This game dispels the distorted notion that modern day top-level chess is nothing but long and boring draws; it was truly a tough and fighting game, with great play displayed by both sides. 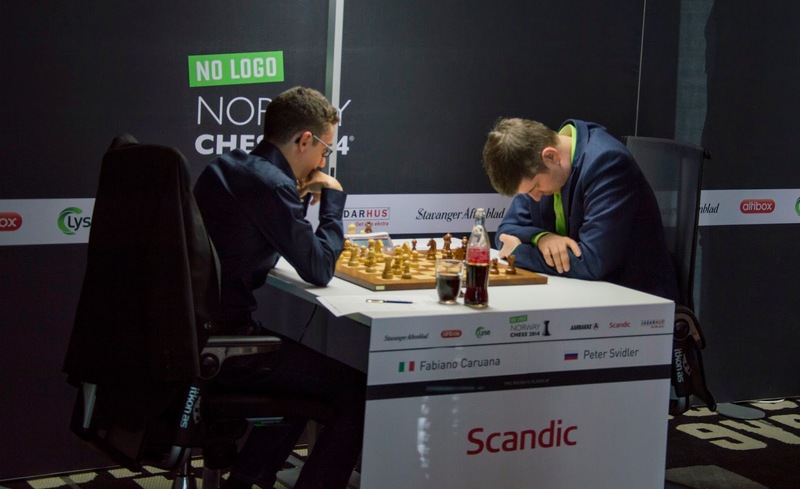 As of the time of posting, Round 5 of the Norway Chess Tournament 2014 is about to begin, and after 4 rounds Caruana is the sole leader with Kramnik in 2nd place. Let us wish the participants all the best, and hope for more exciting games to follow!